Lock in a great price for Shangri-La Hotel Bangkok – rated 9 by recent guests! Our luggage was delayed and the staff were absolutely fabulous helping us. Within 200 meters from main pier from where you can take many interesting boat tours. Great Spa. Beautiful property, very clean .Very professional and king personal . The staff was fabulous. The setting magic. As a lone traveler, I had fun and was pleased. From the moment that Beem welcomed me with her gracious elegance as I arrived, it was a true 5 star experience. The room was clean, large and had an incredible view of the river. I will definitely stay again. The services of the Concerge, Tee. His help enabled us to have an outstanding experience. The shower. Late evenings in the lounge with the piano and singer. The location is superb, especially the riverside view. The room was well done with good amenities. In-room dining food was good. Great location. Stayed in the Krungthep wing which was next to train station and river shuttles. Had a balcony room overlooking the river. The location was fantastic. 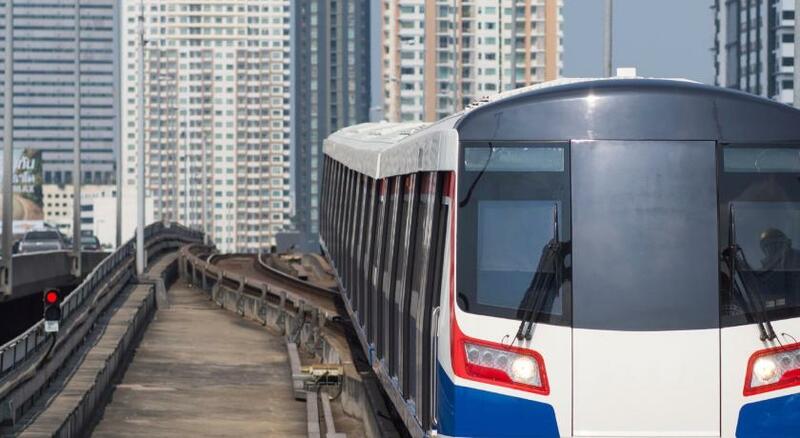 Great access to the sky train and the ferries. 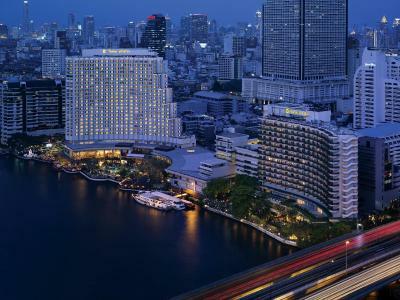 Shangri-La Hotel Bangkok This rating is a reflection of how the property compares to the industry standard when it comes to price, facilities and services available. It's based on a self-evaluation by the property. Use this rating to help choose your stay! 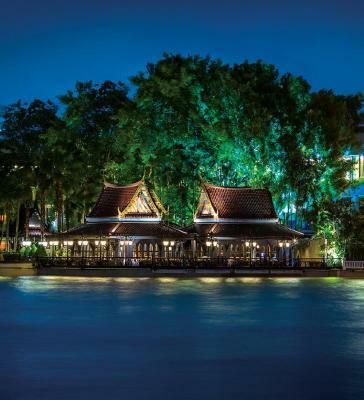 One of our top picks in Bangkok.Located along the Chao Phraya River, Shangri-La Hotel Bangkok features a 10,000-sqm Fitness Center and the multi-awarded CHI, The Spa at Shangri-La. 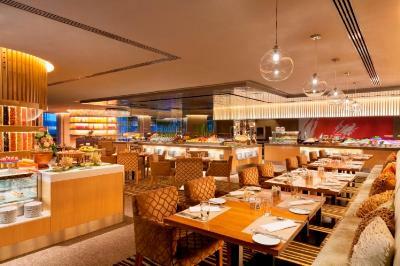 Among its 10 dining options is an award-winning restaurant. Guests can join daily aerobics and dance classes at the hotel, or play a game of tennis. Shangri-La Bangkok also has a spa pool, sauna and steam room. Other facilities include a shopping arcade, a clinic and a business center. 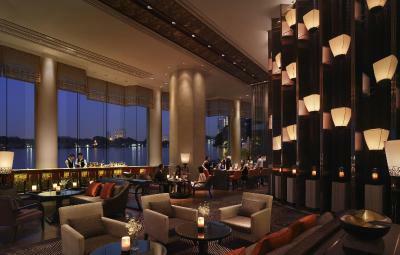 Offering city or river views, rooms at the Shangri-La feature Thai décor with silk and wood furnishings. Each room is equipped with a flat-screen satellite TV, a safety deposit box, and a mini-bar. Authentic modern Italian dishes are served at Volti Ristorante & Bar where guests can enjoy its live music and at-home luxury atmosphere. 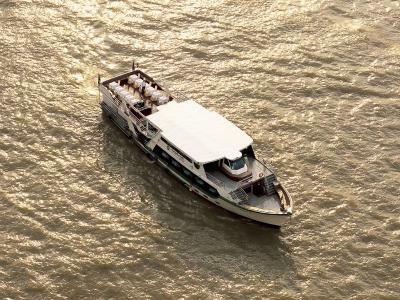 For a romantic dining experience, Horizon II River Cruise serves an Asian and international buffet on a private riverboat. The Chocolate Boutique offers an indulgent range of sweets and hot drinks. 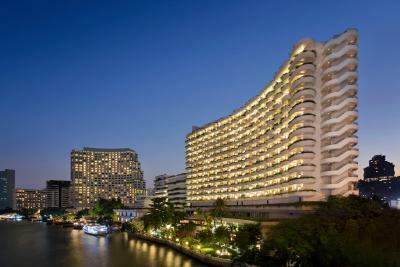 Located in Silom, Shangri-La Hotel Bangkok is adjacent to Saphan Taksin BTS Skytrain Station. Driving from Suvarnabhumi International Airport takes around 40 minutes. 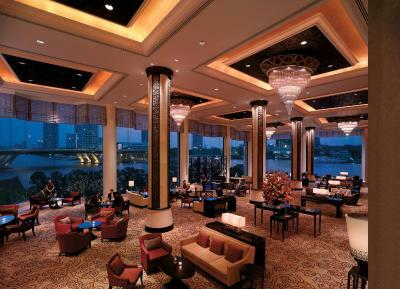 When would you like to stay at Shangri-La Hotel Bangkok? Offering a city view and partial views of the Chao Phraya River., the room features Thai-inspired and contemporary décor. The room includes a flat-screen cable/satellite TV and DVD player. An private bathrooms come with a separate bathtub, rain shower and Shangri-La toiletries. Room features a flat-screen cable/satellite TV and DVD player. The marble-floored bathroom contains plush bathrobes, slippers, premium toiletries and a separate glass-enclosed shower. 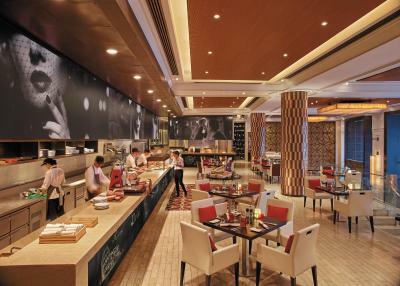 Guests enjoy free Wi-Fi and access to Horizon Club with benefits. Located in the exclusive Krungthep Wing with a separate entrance and reception, rooms come with private balconies providing full panoramas of the famous Chao Phraya River and access to Krungthep Wing Pool. 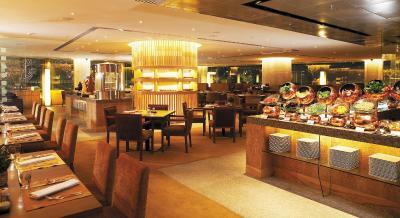 - Daily breakfast served at the Riverside Lounge from 06:30 - 10:30 hrs. (Saturday - Sunday and Holidays until 11:00 hrs. 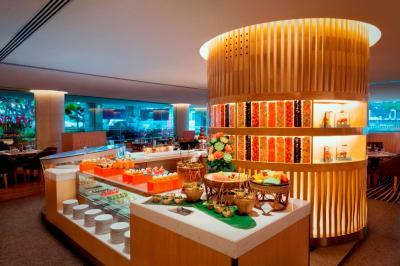 ), the in-room dining breakfast is not included. - Cocktails and canapés served from 17:30 - 19:30 hrs. at the Riverside Lounge. - Pressing for one suit on arrival. - Soft beverages served all day at the Riverside Lounge. Please note that a 3rd person in an extra bed will be charged THB 3002 per night. Featuring rich wooden paneling and carved motifs, this 36-sqm room comes with panoramic views of the Chao Phraya River, a DVD player as well as a smart TV. An private bathroom include bathrobes, slippers and Shangri-La toiletries. Executive Suite provides luxurious comfort with a separate sitting room. The marble-floored bathroom is equipped with separate rain shower and premium Shangri-La toiletries. 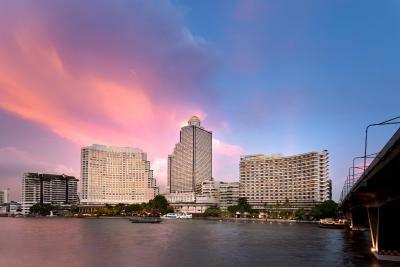 With exclusive Horizon Club privileges, the suite offers city skyline and partial views of the Chao Phraya River. Featuring contemporary décor and carved Thai-style motifs, this 42-sqm room comes a private balcony with panoramic views of the Chao Phraya River. An en suite marble-floored bathroom includes bathrobes, slippers and Shangri-La toiletries. Featuring a East-meets-West décor, rooms come with private balconies providing views of the famous Chao Phraya River and access to Krungthep Wing Pool. It has free WiFi and high-speed internet access. The room is located in the exclusive Krungthep Wing with a separate entrance and reception, nearer the BTS Skytrain Station and public pier. Offering partial views of the Chao Phraya River, the 36-sqm room features Thai-inspired and contemporary décor. There are a flat-screen cable/satellite TV and DVD player. An private bathrooms include a separate bathtub and rain shower, bathrobes and Shangri-La toiletries. Featuring a East-meets-West décor, rooms come with private balconies providing views of the famous Chao Phraya River, a DVD player as well as a smart TV. An private bathroom include bathrobes, slippers and Shangri-La toiletries. This twin room features a DVD player, mini-bar and bathrobe. This twin room has a balcony, executive lounge access and mini-bar. Located at the corner of each floor with breathtaking views of the Chao Phraya River, this spacious 72-sqm suite comes with a separate seating area and a marble-floored bathroom including a separate rain shower and Shangri-La toiletries. 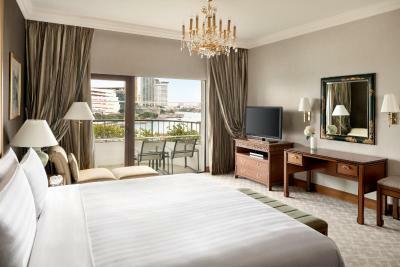 Showcasing contemporary decor with Thai decorative motifs, colorful hand-crafted artwork and wooden furniture, this premier room features partial views of the Chao Phraya River. The marble-floored bathroom comes with separate rain shower, plush bathrobes, slippers and premium Shangri-La toiletries. A separate living room features a sofa bed for guests' convenience. Deluxe Suite offers a unique combination of Thai and Western décor with high ceilings and chandeliers. 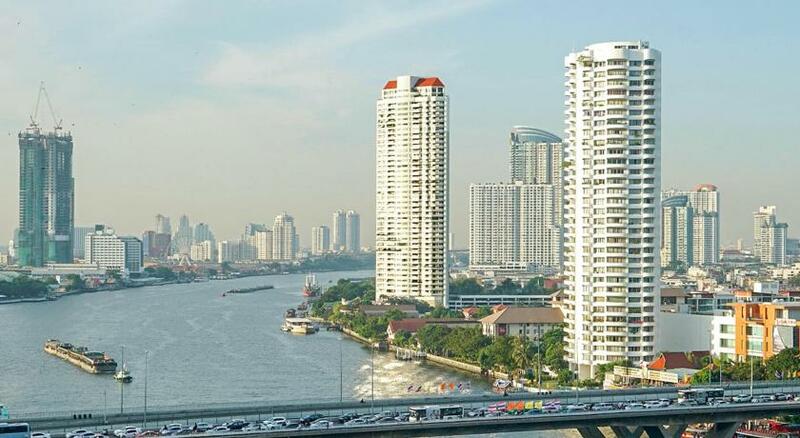 The spacious private balcony provides panorama views of the Chao Phraya River, the pool and gardens. Fully marbled bathroom comes with separate shower and premium Shangri-La toiletries. 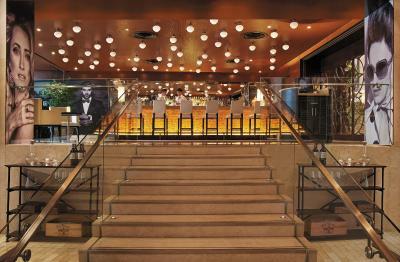 Guests enjoy breakfast, complimentary all-day soft beverages, cookies and early evening cocktails at Riverside Lounge. 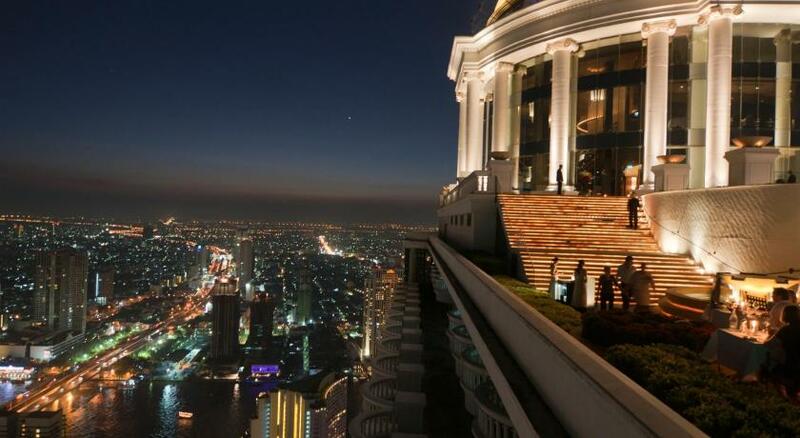 House Rules Shangri-La Hotel Bangkok takes special requests – add in the next step! 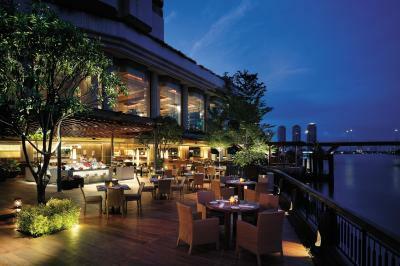 Shangri-La Hotel Bangkok accepts these cards and reserves the right to temporarily hold an amount prior to arrival. Please note that the property provides WiFi-equipped limousine service (Mercedes Benz S-Class) at an additional cost. Guests who wish to make use of this service are kindly requested to contact the property directly. Contact details can be found in your booking confirmation. Please be informed that normal check-in starts at 14:00 hrs. Guests are kindly advised contact the property directly if other check-in requirements are needed. Contact details can be found on the booking confirmation. 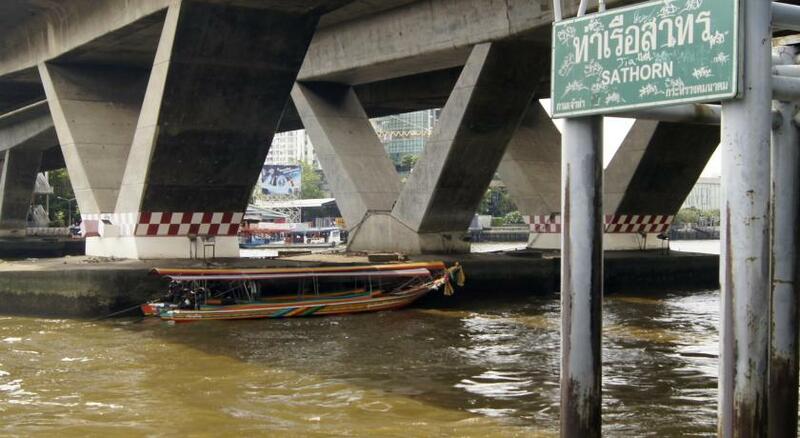 Please note that, from the 1 April 2018, the hotel shuttle boat to Asiatique will stop operating until further notice. 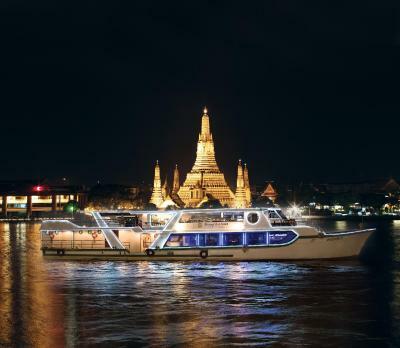 From the 1 April 2018, guests who wish to go to Asiatique may use the complimentary boat service provided by Asiatique which departs at regular intervals from Sathorn Pier (Saphan Taksin BTS) every evening from 5pm.